Harcourts Mandela Bay operates exclusively in Port Elizabeth. Specialising in residential homes, the business has become known for its professionalism and high level of service. The agents belonging to Harcourts Mandela Bay are recognized by the public and their competitors alike for their outstanding levels of knowledge and professionalism. Highly trained and well informed, they are easily identifiable by the manner in which they go about their business of achieving what their clients want. Sellers achieve the maximum price that the market will allow, while purchasers have the largest selection of market related stock to view. Operating from a highly visible and well located office in Uitenhage, Harcourts Mandela Bay is ideally situated to service both these towns. Aligned to the leading world class Harcourts technological platform, with linked websites to various property related search engines, Harcourts Mandela Bay provides truly a one-stop-shop to viewing property via the internet. You are in the hands of dedicated property professionals. Having started in the Permanent Building Society in 1984, most of my banking career was in bond administration, interacting with Estate Agents, Purchasers and Attorneys. After 16 years’ in banking, I opted to widen my horizons and joined the Mortgage Origination industry covering all administrative aspects as well as being a consultant. In order for me to grow in my career, I joined the real estate market as an office manager to a real estate company. In 2016, I moved to Pretoria where I was the Personal Assistant for a Forensic Auditor and an Attorney. 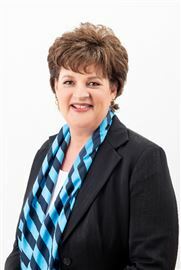 I returned to Port Elizabeth in September 2018 and joined Harcourts as the Administration Manager for Harcourts Mandela Bay and Harcourts UD offices. Having been involved in the property industry for a number of years I have extensive experience in listing, marketing, selling, letting and buying of homes. I am passionate about my town (Port Elizabeth) and my community. This is reflected in my success as a real estate professional. I am NQF4 qualified and have the necessary PDE qualifications. Having previously been a Residential Letting Portfolio Manager for a number of years has provided me with a broad spectrum of knowledge in all fields of the property market. My knowledge over the years enables me to promote your property so that it attracts the right buyers. This is the key to achieving the best possible price that the market will pay. The majority of my listings are done on exclusive sole mandates of which most are sold within 10% of the original asking price and well within the proposed marketing period. I strive to exceed the expectations of both buyer and seller and to make my experience available to the benefit of all parties concerned. I have been in the property industry since 2003 and have extensive experience in the property market. In 2009 I completed a course in Commercial and Industrial Property. I have lived in Port Elizabeth all my life and am passionate about the city. I pride myself with great customer service, consistent communication, strong assistance to detail and ensuring a positive experience for all parties in the transaction. My approach to the transaction is “Its all about the people not the agent”. During the years I have helped many families purchase their ideal homes. I know how to successfully close a transaction making the experience less stressful. Passion. Persistence. Perseverance. Words to live by in the real estate industry and the only way to be successful. I have been involved in real estate since 2012, both in an administrators capacity and as an agent. My passion is matching buyers with their dream homes, the best moment in this game is seeing the awe in a buyers eyes when they realize that they have arrived home. I believe that service is what sets you apart in this industry therefore I am dedicated to ensuring that all clients receive good feedback timeously. As I am still fairly new to the industry, I bring with me an enthusiasm for bringing buyers and sellers together as well as the determination to get the best deal for all parties in the shortest time frame. If you are looking to get excited about buying or selling, don’t hesitate to contact me today! A multi-skilled estate agent with good all-round marketing skills and a solid marketing background and sales. 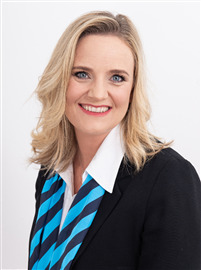 I am passionate about offering excellent service and believe that sales is all about understanding people, their wants and needs and about developing relationships. I have extensive knowledge of collecting information about a property, estimating its value and then promoting it for sale. An excellent communicator who can relate well with people at all levels. I believe that real estate is not just about selling houses, not just bricks and mortar. It is more about understanding people’s needs and aspirations and providing them with a service that goes well beyond merely putting a sold sign up on the lawn of their properties. I qualified as an estate agent in 1992 and then after about 18 months, I decided to take a full time job. At the beginning of 1997, I realised that property was in my blood and I decided to return to the industry. Since then I have been a part of the property industry and have worked for a number of the top companies in Port Elizabeth. In 2000, I joined up with a partner, Heidi Douglas and since then we have not looked back as a partnership. We were awarded Master Agent status in 2012, which essentially means that we had sold properties in excess of 50 Million Rand. Our partnership is still strong and we look forward to many more successful years under the Harcourts Banner. My career in property started in 2002 , firstly in the administration department at a rental company, then as a rental assistant and Credit Controller. I later headed up a rental department and managed it for several years before going into sales. 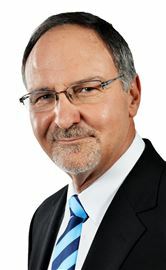 I have extensive knowledge in the property market and base my success on personal commitment and loyalty to all clients. I have successfully completed my NQF 4 Real Estate qualification. I started working for the dynamic team of Harcourts Mandela Bay 1 June 2015. Patricia fulfills the role of receptionist, admin and support to the agents. Perfect for the larger family! Neat Simplex Priced To Sell! Freehold Living At It's Best!